A race destination for race fans! Closed, open, smooth roads in a cracking location with ready-made grandstands for friends and family to watch you beat the best. Just try not to make racing car noises whilst running. Try hard not to make motor car noises as you fly round the bends and overtake people on the outside! Check the weather forecast, if it’s going to be windy then you’re in for a long old slog! 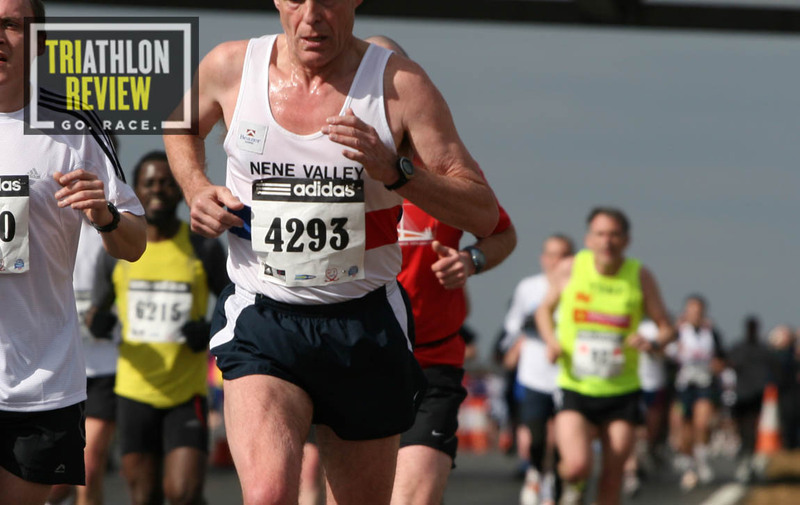 This race is the little sister of the London Marathon, sponsored by Adidas and it delivers the same quality in terms of pre-race paper work and instructions. There’s loads of supporting information and travel info which obviously helps with the pre-race prep, the venue is used to managing thousands of visitors to events so they minimise the stress when it comes to parking. You have to travel to the venue by car unless you get a load of mates and a big bus because it’s in the countryside and there are no local rail or bus connections. Once at the venue there are plenty of stewards around as well which makes the process smooth. The course is unique and for anyone who has ever watched the Grand Prix it’s a dream realised. It starts on the inside of the main race track as the track itself isn’t 13 miles long. You do a few twists and turns around some of the rough carting tracks before heading onto the main track. It’s relatively flat and the only major hills are some ramps where you cross the track. They are short steep climbs so if you dig in the pain is over quick. One of the most challenging aspects is how exposed the circuit is. One of the years reviewed, it was hailing in March and it was easily the worst conditions I’ve ever run in. The wind whistles across and helps when it’s behind of you, but not when it’s in your face. Strangely I ended up with my best time, probably because I wanted to get it over as quick as possible! The atmosphere isn’t that energetic surprisingly. The three years reviewed here, there were very few people running in fancy dress, coupled with that the crowd is contained to certain areas of the course. This means that for large sections of the race it’s just you and the other runners. The track itself doesn’t provide much scenery to look at and is quite repetitive, so it’s not like running through an urban circuit when there’s something new around each corner. The novelty of running on the racing track doesn’t last for as long as you’d imagine! 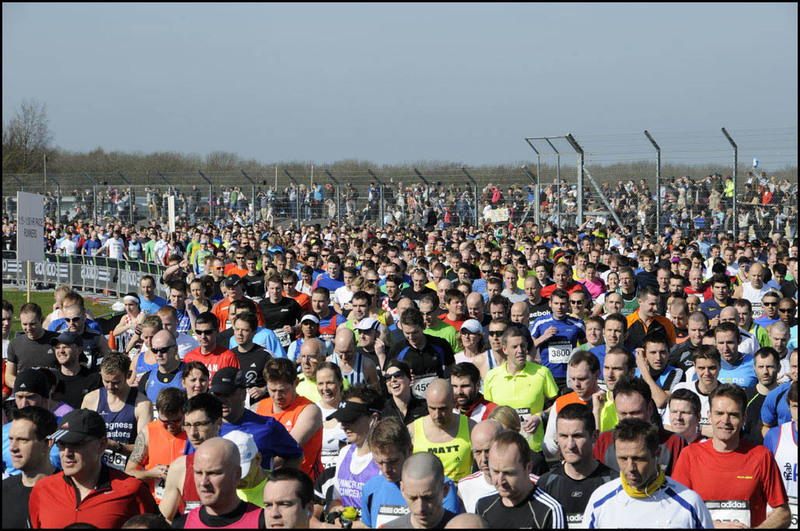 How difficult is Silverstone Half Marathon? As far as other half marathons go this is one of the easiest this reviewer has tackled. The wide circuit means that there’s plenty of room, and of course it’s smooth and flat to accommodate its regular competitor (the race car). If the weather is nice on the day then you’ll storm it, if it’s not then it might spur you on like it did me! If all goes well you can expect a PB here. There are free massages on offer, and again with the scale of the race loads of additional events. They turn the pit straight into a mini town with stalls selling clothes, food and all sorts to invest in after your triumph. You get a great goody bag at the end of the race, the medal and t-shirt are worth the pain. Beyond that there isn’t much on offer in the local area, but further beyond we stopped off a local pub and made a day of it. Place: About 1000 out of 6000.